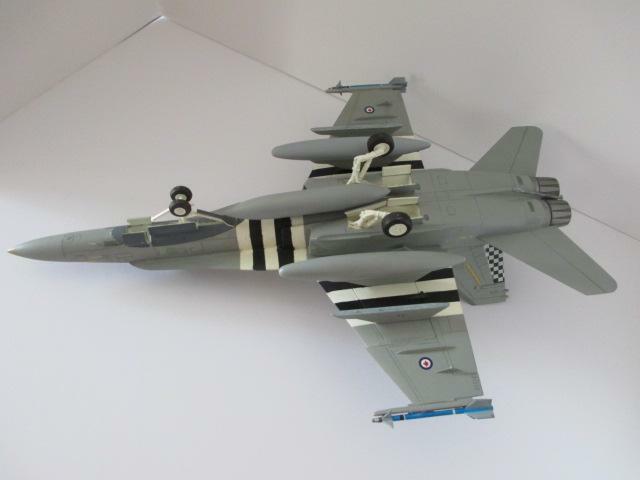 Canada’s 441 Squadron’s Hornet Special for the 50th anniversary of D-Day, complete with invasion stripes and “JE-J” codes for Johnny Johnson, who commanded 126 Wing. 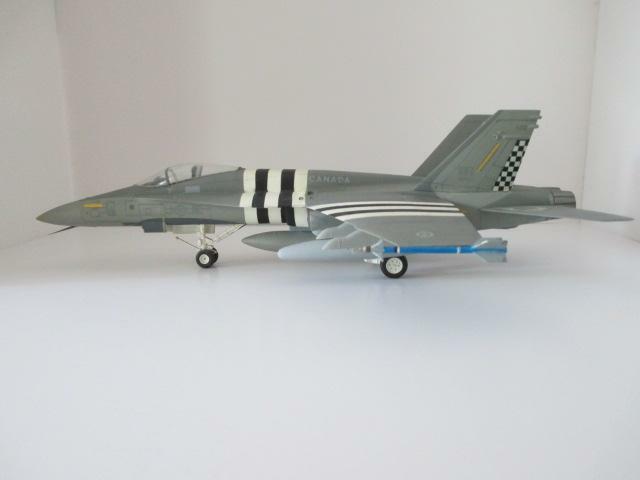 And there were those who said, “invasion stripes on a jet? no way ! ” Well, here it is. 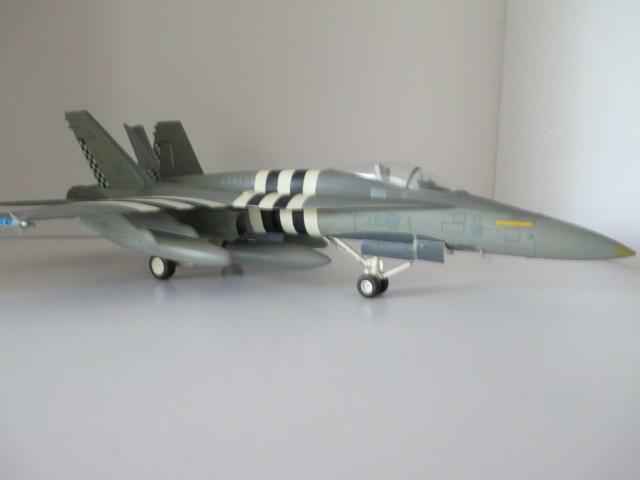 After completeing a couple Monogram F-18’s, I was staring at a 1/48 Testors model, of questionable quality. Not being one to disgard a model for no reason apparent to me, I felt I needed something out of the ordinary. 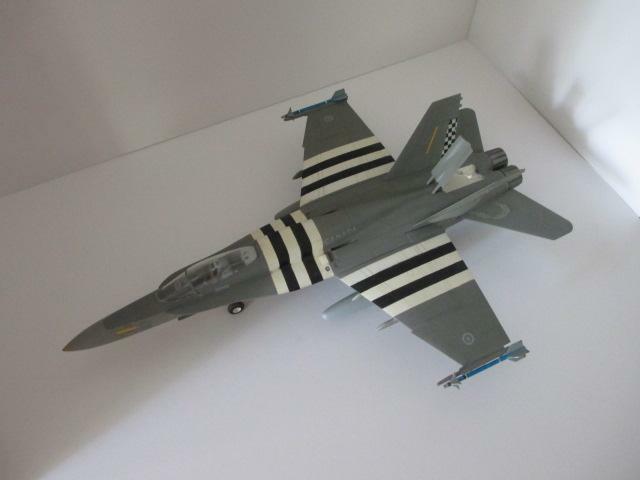 I spotted a photo of this in an old World Air Power, and it looked like an eye catching scheme. The Testors kit was a relatively simple and enjoyable build. Sitting next to the Monograms, you can notice subtle differences, but to me, they all look like F-18’s. It’s interesting to hear the comments whenever I set it out on display. Interesting scheme. Did you see stripes in your sleep for awhile? Those retro schemes on the newer jets are always cool. I seem to remember F-15’s painted like that. That’s a good looking model. I’d love to see what your stash looks like…. The F-18 is always a powerful yet elegant looking aircraft. 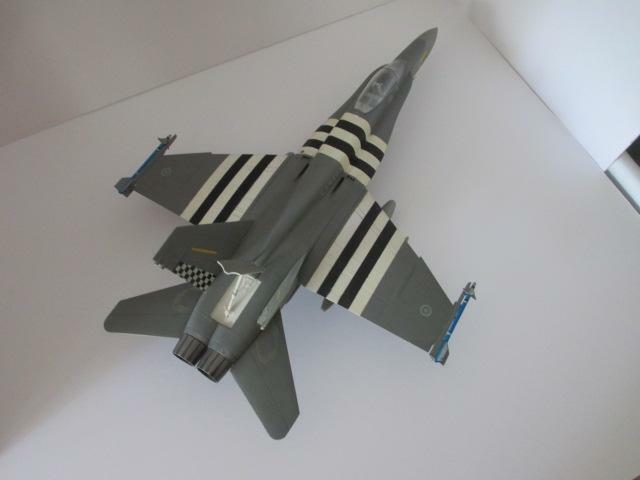 You’ve bought out the attributes of a fine jet, the stripes are a keeper! Nice as always, Joe. 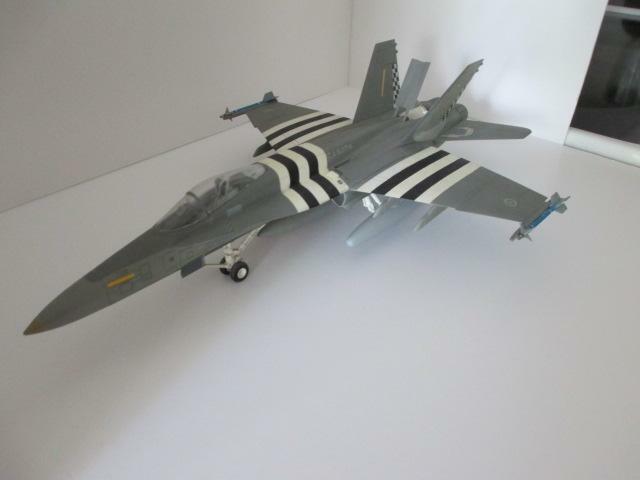 Invasion stripes on an F18 C’mon…..Oops I nearly did it again !! ,seriously Joe this looks great. 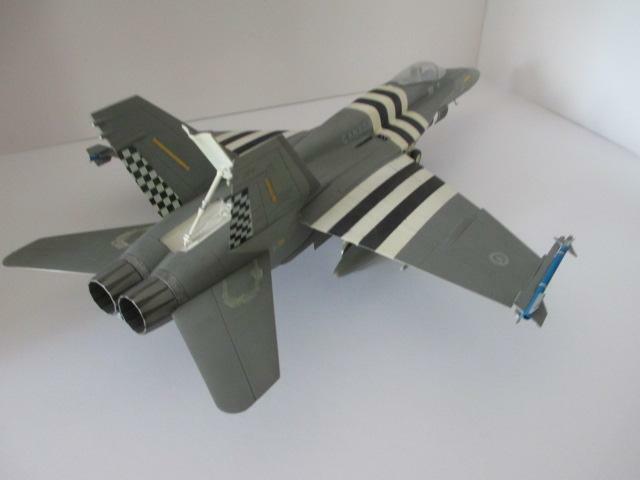 Very neat job on the stripes, Joe, I wish I could mask as well as that. So Joe what`s next, another different build, well painted, and what the hell. 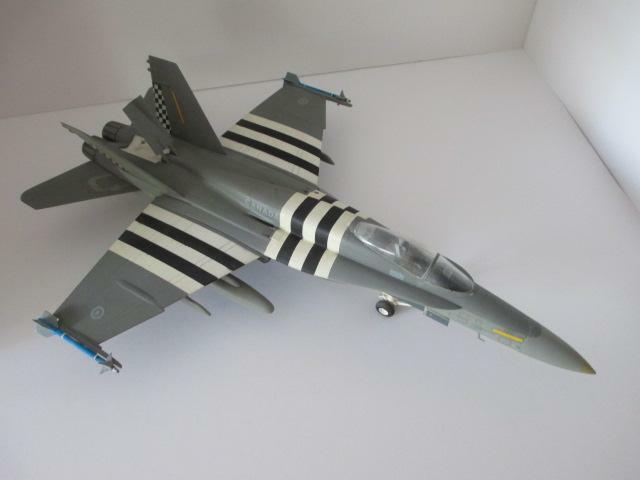 If the air forces of NATO can paint Tigermeet colours , why not rememberance ones as well!!! The Testor’s kit is actually the prototype, which explains the differences. Great job on the stripes. This must have been a chore. They look great on this a/c. You did a fine job. I fell in love with this aircraft after watching Independence Day when I was a kid. Lovely build Joe!